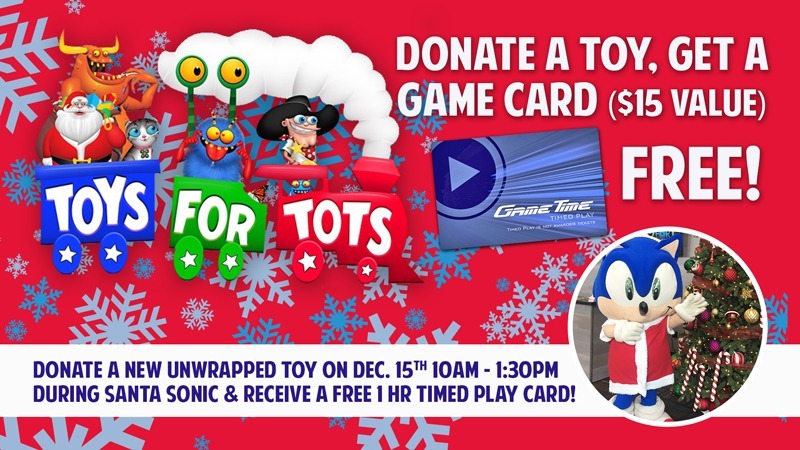 Take a Pic with Santa Sonic, Donate a Toy & Get a FREE 1 Hour Timed Play Card! 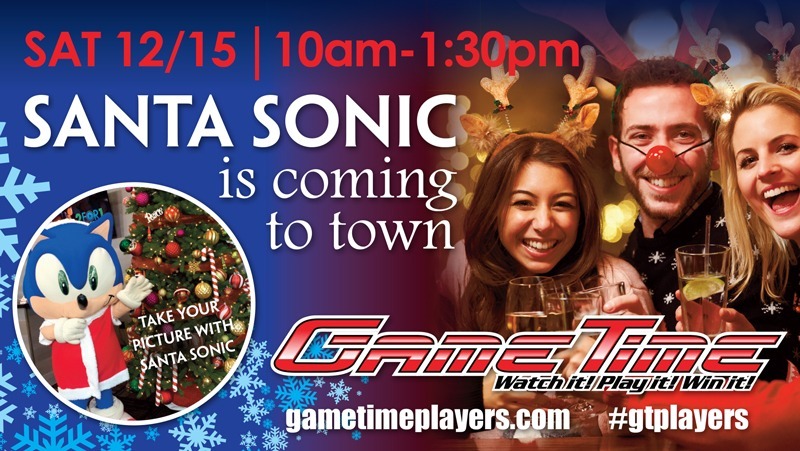 Join us on Saturday, Dec. 15th from 10am – 1:30pm for a fun holiday celebration with Santa Sonic. Donate a new, unwrapped toy to “Toys For Tots” and get a FREE 1 Hour Timed Play game card ($15 value)! Santa Sonic appearances will be every hour on top of the hour for 20-30 minutes. Click on each image below for more details regarding a GameTime near you. Watch It! Play It! Win It! It’s GameTime!